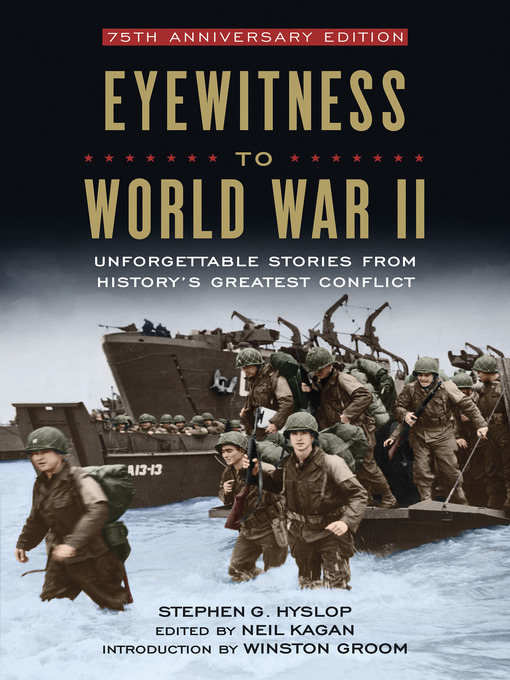 Eyewitness to World War II: Unforgettable Stories From History's Greatest Conflict | Free eBooks Download - EBOOKEE! The unforgettable story of World War II is told through the words of those who lived it-both on the battlefield and the home front-creating a dramatic tapestry of the wartime experience. Personal writings and recollections of Roosevelt, Hitler, and Patton, as well as letters composed by soldiers at battle and diaries of women serving in the military at home, present an absorbing narrative that tells the entire history of the war from several perspectives. In this absorbing reader's edition, a carefully curated selection of memorable, significant photographs and illuminating maps from the 2012 book accompanies the revised text. Comprehensive and compelling, this finely wrought book is as gift-worthy as its predecessor. No comments for "Eyewitness to World War II: Unforgettable Stories From History's Greatest Conflict".